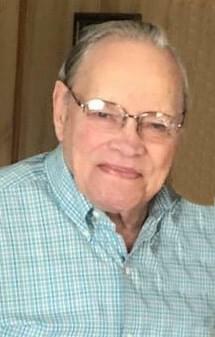 Allen C. Gillette, 86, of Rock Falls, died Monday, April 15, 2019 at Hope Creek Nursing Home, East Moline. He was retired from hunting and fishing sales and was an avid outdoorsman. Allen was born February 12, 1933 in Mendota, the son of Charles Emery and Esther (Smith) Gillette. He served in the United States Navy and was a proud Veteran. He was married to Barbara (Shaw) Gillette. Allen and Barbara had one son Jack Allen (who passed away October 17, 2007) and one beloved granddaughter Courtney who shares a birthday with her Grandpa Allen. Survivors include Barbara Gillette, two brothers, Rowland (Dawn) Gillette and Noel (Nancy) Gillette both of Rock Falls; two sisters, Pat Gillette of Tucson, AZ and Mary Margaret (Richard) McQuoid of Eucha, OK; and one granddaughter, Courtney Gillette of Chicago; daughter-in-laws, Brinda Winger of Dixon, and Tammy Gillette of Smithton, IL; and several nieces and nephews. He was preceded in death by his parents and one son, Jack Allen Gillette. Memorial service will be held at 1PM on Friday, April 19, 2019 at Schilling Funeral Home and Cremation with Pastor Roger Carlson, officiating. Visitation will be from 12-1PM prior to the memorial service. Burial will take place at Oak Knoll Memorial Park in Sterling. Cremation rites have been accorded. A memorial has been established to American Diabetes Association, Juvenile Diabetes Research and Veterans Administration.